Here at Ikea Kitchen Builder we look forward to satisfying every customer. We build kitchens from IKEA and please do not be fooled we may turn your kitchen into a beautiful design that competes with high end kitchen builders. Whether you have your own plans or need help professional planning we can make it happen. The prices are affordable and the work is done my the best experts we have to provide in IKEA kitchen building. IKEA has some wonderful designs and we are here to provide our services to have the best outcome. We have been building kitchens for IKEA for years and are experienced builders. There are many components to building an IKEA kitchen from measuring, to planning, we make the process easy and affordable so that your kitchen can be the kitchen of your dreams. Before you buy a kitchen from IKEA please do not hesitate to contact us and we will make the process easy, affordable, and the outcome will be incredible. Not only do we provide excellent kitchen services but we also assemble IKEA furniture as well. We will do the work correctly so your kitchen or furniture will last you a lifetime. Welcome to The Woodworker where we are dedicated to creating the highest quality custom cabinetry and furniture for your home. We only use the finest woods available from the local to the exotic. Your vision, style, and needs are what matter most to us and are reflected in every finished piece. We will be working with you from idea to creation, installation, and beyond; for an enjoyable experience with spectacular results. The Woodworker began as the dream of Robert Waltsak. Mr. Waltsak studied art and design at the Newark School of Fine and Industrial Art. 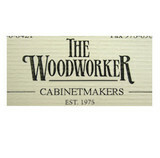 The Woodworker was established in 1974 and has operated out of the same building on Rt. 23 in Wayne, New Jersey ever since. Gary Yates started AG Yates in the 1980s after completing a five-year apprenticeship in England and working in Australia and New Zealand. He does all forms of carpentry work, from small repairs to remodeling and building additions. He provides the finest quality craftsmanship on all his jobs, and works with licensed, insured tradesmen that have been working together for years and complete remodeling and construct jobs in a seamless timeframe. 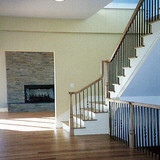 AG Yates Home Improvement can help design and customize your job to your budget and your taste. Best Price Home Improvement is your go to home improvement contractor for all areas including roofing, siding, windows, custom siding & trim, kitchens and more! Professional Builders servicing NorthWest New Jersey. Fast. Safe. Clean. Guaranteed. Start to Finish Framing. Additions. Renovations. Clean and Simple Designs – Yet Powerful Craftsmanship Each Project is Crafted With Passion and Love Architectural Moulding. Bathrooms & Kitchens. Cabinetry Carpentry. Fine Woodworking. Furniture Making. Mill Work. Model Building. Painting & Decorating. Renovations. 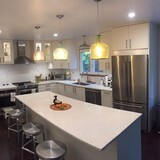 JD Custom Carpentry in Bronx, New York, specializes in creating custom furniture for your kitchen, office, or home. Our experts use only the best materials to ensure you receive the quality work you deserve. Let our professionals optimize your space with our distinctive work. For more than 21 years, our carpentry experts have been designing and installing custom-made kitchen cabinets, office cabinets, custom wet bars, custom bookcases, domino tables, and game tables—just about anything you can dream of. All of our furniture is made from real wood, and no fiberboard, compressed wood is used. Here at SJ REmodeling LLC you will find that we are Remodeling Experts! You will not find many who have the Knowledge and Craftsmanship as we do. We are a New Company founded in early 2015, but has deep roots in the Construction and Home Improvement field in Fairfield County for over 20 years! Blade Millworks is a privately owned business focusing on the construction of fine doors, windows, and other architectural components. We specialize in crafting true divided lite muntins, both curved and straight.